For the 13th consecutive year the Ramani Fernando Sunsilk Hair and Beauty Academy held their graduation show. With branches in Colombo, Kandy and Negombo, the academy provides yeoman service to countless young women and men by training them in all aspects of the hair and beauty industry. Over 80 young men and women who graduated from the academy were awarded their certificates by Ramani Fernando, Director of the Academy Lucky Lenagala and Senior Brand Manager Sunsilk, Munaza Rafeek. There were numerous winners from various batches from Colombo, Negombo and Kandy. 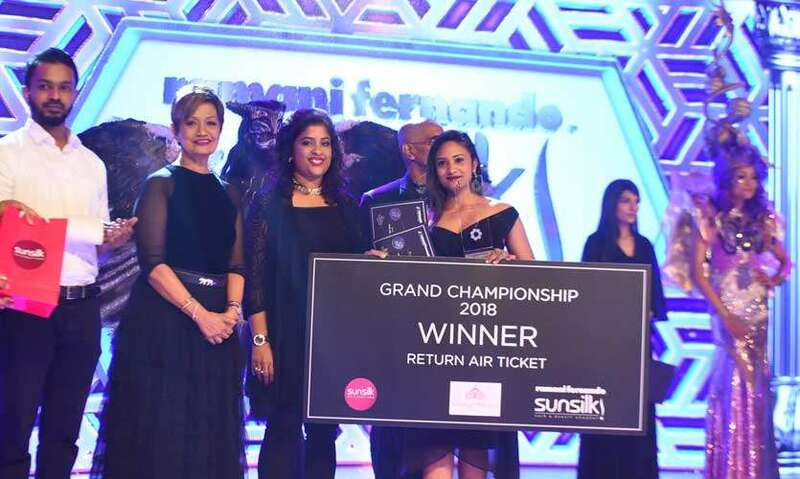 However it was Dilhani Priyadarshani who was adjudged the best overall student of the Ramani Fernando Sunsilk Hair and Beauty Academy for her hardworking ethos, unwavering attitude and her skill set. 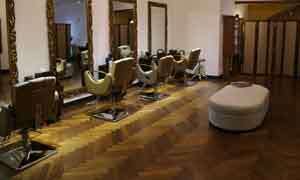 Trained to a high standard the newly minted graduates go on to work in some of the prestigious salons in Sri Lanka or those with an entrepreneurial streak go on to open their open saloons. 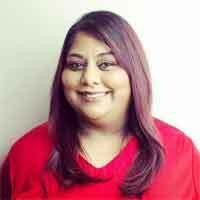 The Ramani FernandonSunsilk Hair and Beauty Academy has earned a reputation for being one of the most professional and best training institutes in the country. With its high quality courses and teaching skills displayed by the tutors, the academy is committed to providing a high degree of knowledge and techniques to its students. The academy covers all types of courses in hair and beauty such as diplomas, advanced courses and specialist courses such as tinting, perming, cutting, styling, and bridal dressing. 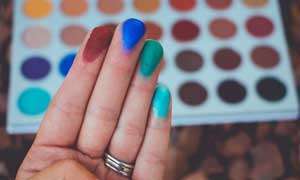 Other aspects such as personal grooming, image building and English are also taught within the course. Designer Aslam Hussein who has collaborated on many projects with Ramani Fernando presented a segement called Shades of Grey. Simple silhouettes with classic sophistication in varying shades of grey complemented the elaborate hairstyles created by Ramani Fernando’s team of talented hairdressers and make up artists. Their hair creations displayed the innovative skills, creativity and technical skills which they are renowned for. 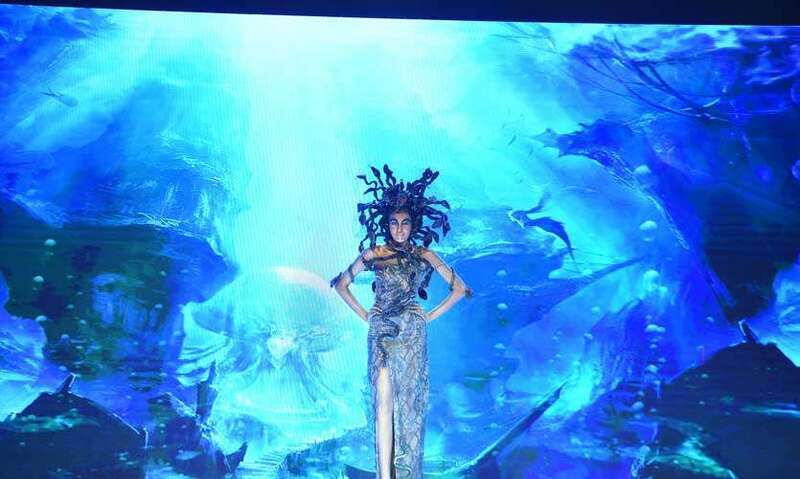 Part of the show also included a segment titled Hair Art Grand Championship 2018 where six students used their imagination to conjure up creative hairstyles which ranged from Medusa to a griffin. 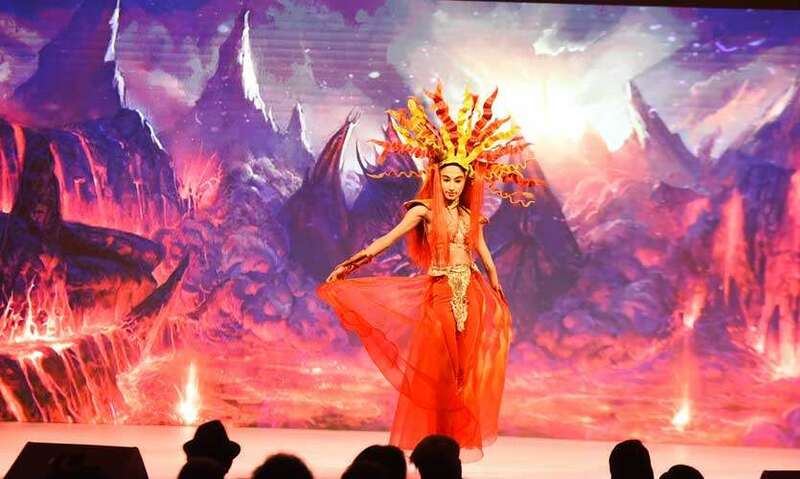 The winner was Janadhi Sheshadari for her elaborate and artistic creation of a gravity defying scorpion perched atop her model’s head. The show was choreographed by Senaka De Silva.